The postmodern reopening of a perennial question requires both boldness and caution. This essay is a translated and extended version of the author’s Dutch-language essay Van JQ naar IQ written for the patriotic-identitarian think tank ‘IDNL’ (English-language content can be accessed at http://www.identitair.com/). 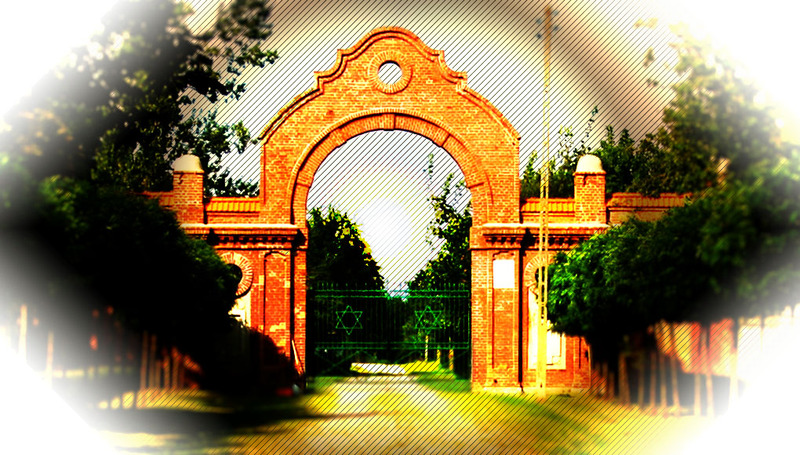 The image that heads this first part is of the New Jewish Cemetery in Lodz, the largest Jewish necropolis in Europe. During WW II many Dutch Israelites were moved to the adjacent Lodz Ghetto in preparation for 'final resettlement', where they succumbed to sickness and starvation, only to find a last resting place in the cemetery's 'Ghetto Field'. For the fledging patriotic-identitarian movement it is important to emphatically distance itself from the facile projection of the diseases, weaknesses and degeneracy of one nation – or group of nations – on any other nation. It has the educational task of pointing to the fact that the socio-psychological diseases of the Western nations – institutional oikophobia, self-destructive matriarchy, collective narcissism – result from the degeneracy of these nations themselves. From that perspective, the negative influences of certain literally alien elements – the massive socio-economic burden of fraudulent ‘asylum seekers’, criminal ‘refugees’ and import ‘jihadists’ – represent nothing but side-effects of dangerous defects in the natural immune system of the Western nations themselves. In other words: the dramatic rise of such invasive ‘vectors’ is primarily due to the critical condition of the body politic of the Western nations themselves. The historico-materialist ideology and consistently deconstructive technique of the hostile elite are entirely incompatible with the authentic Jewish Tradition. The only – highly artificial – way in which the hostile elite could possibly be labelled ‘Jewish’ is by defining the whole globalist postmodern New World Order as a ‘Jewish’ project. Such a label, however, not only misrepresents the authentic Jewish Tradition – in form as well as content – but it also denigrates the autonomous role of the Western peoples within this New World Order. Labelling the New-World-Order project as ‘Jewish’, means that the Western peoples, who have consistently supported and lived with this project for many decades, are degraded to the status of brainless and spineless livestock. Such a reductio ad absurdum is bound to give rise to a cynical question: do peoples that sink to the level of ‘cattle’ actually deserve better than to be treated as such? But, as guardian of Western civilization, the patriotic-identitarian movement is bound to reject the implicit assumption that any people, from the most ‘primitive’ tribe to the most highly ‘civilized’ nation, deserves the label ‘cattle’ or ‘cattle farmer’ – let alone the label ‘good’ or ‘bad’. The semi-Manicheist ‘angels’-vs.-‘demons’-role pattern that historically pervades anti-Semitism – generally characterized by unreasonably dogmatic schemes – structurally fails to recognize the sovereign responsibility of each people in determining its own fate. Any substantial association of the brand-new patriotic-identitarian movement with anti-Semitic primitivism must be regarded as a counter-productive anachronism. Within the patriotic-identitarian movement, which must remain ‘lean and mean’ in order to survive and thrive, there simply is no room for any burdensome residue of political primitivism. It is therefore bound to reject anti-Semitism in the same breath as ‘old-right’ racism and libertarian ‘populism’. 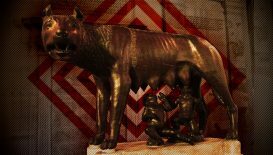 The patriotic-identitarian movement can only be effective if it bases itself on a vision of future that is at the same time authentically rooted and radically progressive: an ‘archeofuturist’ vision that decisively moves beyond old reflexes, old thought patterns and old mannerisms. From that perspective, dogmatic anti-Semitism actively harms the patriotic-identitarian movement: to the degree that it does stem from deliberate subversion (as a diversion manoeuvre and a divide-and-rule tactic), it must be rejected as a waste of time. Even so – or rather, because of this – it is important to emphasize the correct treatment of the JQ, preferably in a succinct manner that puts it into ‘political quarantine’. Such treatment involves recognition of the legitimacy of all JQ-related issues – a recognition that is entirely lacking in the contemporary politically correct consensus which is deliberately fostered by the (self-)censorship of the system media and academic establishment. The Cultural-Marxist hostile elite of the West has succeeded in achieving a ‘thought police’ consensus in the – increasingly narrow – public debate: doctrinal mantras and psy-op manipulation now dominate journalism, education and the arts to a degree unmatched since the Gleichschaltung that characterized the mid-20th century experiments of Soviet and Nazi totalitarianism. Thus, the patriotic-identitarian movement must recognize the legitimate need for a confrontation with the psycho-historical taboos that the Cultural-Marxist ‘thought police’ have pronounced on many key issues in Western history – including those issues that relate to the JQ. It is important to emphasize, however, that an assault on these taboos does not automatically equal militant ‘revisionism’: the patriotic-identitarian movement should seek to break out of these taboos, rather than to align itself with one side or another in the various historical conflicts that are covered by these taboos. 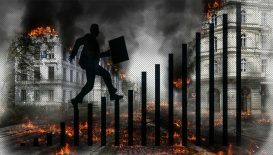 The widening gulf between rulers and ruled can easily result in a revolutionary upheaval – or even worse: in a complete breakdown in law and order and societal collapse. Examples of these taboos include the diplomatic background to the Second World War, the technical modalities of the Holocaust, the heterogeneous ideology of National Socialism and – last but not least – the historical phenomenon of Adolf Hitler (contra reductio ad Hitlerem). As the historical distance is increasing, the need for an open and honest discussion of these taboo topics is increasing as well. The increasingly anachronistic and artificial efforts of the hostile elite to maintain its hopelessly outdated historiographical standard meta-narrative and to enforce a digitally endangered cordon sanitaire around these topics are counterproductive: they merely serve to undermine public trust in academic standards, journalistic integrity and political authority. In combination with the increasingly obvious excesses of ‘hidden agenda’ policies such as ethnic replacement and social deconstruction, the hostile elite’s insistence on maintaining these taboos is opening a fatal divide between rulers and ruled – to the point of causing spontaneous collective protests and uncontrollable mass movements. The increasing frequency of entirely unpredictable ‘electoral upsets’ – ‘Brexit’, ‘Trump’ – and ‘protest movements – gilets jaunes, ‘Chemnitz’ – indicate a build-up of critical mass. These phenomena indicate that the widening gulf between rulers and ruled can easily result in a revolutionary upheaval – or even worse: in a complete breakdown in law and order and societal collapse. The very real prospect of a sudden regression to atavistic tribalism should be of particular concern to the immigrant minorities of the West: once deprived of state-enforced protection, they will face a backlash that will wipe away their decades-old privileges in a matter of days. As sole heir to the values of Western civilization, the patriotic-identitarian movement is obliged to – try and – anticipate, control and channel this backlash. It is thus obliged to engage in an open and ‘therapeutic’ discussion of the various psycho-historical taboos that plague the Western peoples: the JQ touches on some of these taboos. Facilitating an open debate on the various psycho-historical traumas of the Western peoples will enable the patriotic-identitarian movement to break through the narrowing ‘event horizon’ that is imposed on Western civilization by its hostile elite. It should be remembered, however, that such a truly civilized debate is something entirely different than the ‘lightning rod’ of the all-levelling Gutmensch dialogue that presently dominates the public sphere under the aegis of the Cultural-Marxist system media. The real purpose of such a truly civilized debate is nothing less than to stave off the looming violent ‘Final Solution’ to the Crisis of the Postmodern West by means of a preventive but peaceful ‘spring cleaning’. This requires the patriotic-identitarian movement to engage in a head-on confrontation with – and a radical elimination of – the decades-old pseudo-intellectual and sub-human filth of Cultural Marxism. (*) Organizational note: Before the postmodern JQ can be effectively addressed from the perspective of the rising patriotic-identitarian movement, it is necessary to more precisely define that perspective. For convenience’s sake, that perspective will here be named, admittedly somewhat imprecisely, ‘ethno-nationalist’: its definition will be provided in the next two paragraphs, entitled ‘A City upon a Hill’ and ‘Die fröhliche Wissenschaft’. The third paragraph, entitled, ‘Söhne des Bundes’, will specify the actual study object of the JQ: it serves to remind the reader of the correct definition of the ‘Jewish People’ – as opposed to the various historically incorrect and politically distorted definitions that prevail in the sub-intellectual contemporary ‘public debate’ as a result of Cultural-Marxist ‘identity deconstruction’. The fourth and final paragraph, entitled ‘Justified and Ancient’, will conclude this essay with a provisional ‘viewpoint’ for patriotic-identitarian movement – a point of reference for all those that recognize the need for ‘wrapping up’ the past and concentrating on the future. The patriotic-identitarian movement of the West is committed to the absolute (non-abstract, non-intellectual, non-negotiable) right of every nation to the maximal dosage of authentic identity, political autonomy and territorial sovereignty that that nation wishes to have – to the extent that this is concretely compatible with the effectively exercised rights of other nations. Thus, the patriotic-identitarian movement emphatically rejects the pharisaic arguments of ideologically distorted ‘jurisprudence’ of ‘international law’. Instead, it affirms the dictates of natural law, i.e. 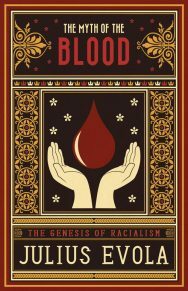 the biologically compelling realities of ethnicity in the real world of earth-bound allegiances: it affirms the a priori right of all nations to a ‘place under the sun’. Such a physical place – that root and no other – is always unique: it determines and defines the uniqueness of the nation that inhabits and/or derives from it – it is directly related to it physical, psychological and spiritual properties in the deepest possible sense. The specific geopolitical rootedness and the specific socio-economic biotope – the place that provides its ‘bio-evolutionary niche’ as well as its ‘mythopoeic home’10 – determine the unique combination of physical, psychological and spiritual properties that define a nation as a nation. These properties interact with the nation’s specific ‘place under the sun’ in subtle and profound ways that modern science has barely begun to understand (initially as ‘evolutionary adaptation’), but that pre-modern historians instinctively grasped (as symbolic markers and cultural mirrors).11 The specific jargon with which this subtle reality was expressed in the Western social sciences of the late 19th and early 20th centuries, physically as Blut und Boden, or ‘blood and soil’, psychologically as Heimat, or ‘homeland’, spiritually as Weltachse, or ‘world axis’, and culturo-historically as Kulturkreis, or ‘cultural field’, are now effectively banned from academic and public discourse as ‘politically contaminated’ by their – largely misunderstood – usage during the political experiment of the ‘Third Reich’. Even so, they remain useful as signposts in the scientific reconstruction of the experiential realities that they reflect. The right of the Western nations to exist as ethnically and historically distinct peoples in autonomous regions and sovereign states is an absolute standard from which the patriotic-identitarian movement can tolerate no deviation. But it is above all the right to protect these realities – the collective lives – that remains unchanged: the right to protect authentic collective identity is absolute in the most concrete sense of the word: in the final analysis, it entirely supersedes legal argumentation, philosophical relativism and ideological deconstruction.12 In this sense, any ‘international law’ that insists on fixed institutions and norms constitutes a contradictio in terminis: a nation’s right to exist is no more relative than a woman’s right to motherhood and a child’s right to be born. 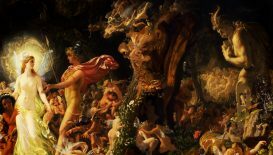 The absolute quality of a nation’s right to exist is reflected in the consistently transcendentally referential ‘origin myths’ of the world’s nations: it may be possible – to a certain extent – to ‘objectively’ (scientifically) study the origins of a nation through bio-evolutionary and cultural-historical analyses, but the birth of a nation is always ‘subjectively’ (psychologically) experienced as Divine Providence. Thus, divinely ordained ‘creation’ and ‘election’ are universally recurring – explicitly stated or implicitly assumed – standard themes in such ‘origin myths’, from the orally transmitted totemic birth categories of the Brazilian Bororo described by Claude Lévi-Strauss to the ‘City upon a Hill’ vision13 of the American Founding Fathers. Thus, the identity of nations can be better grasped by theologians and cultural anthropologists than by biologists and geneticists. It needs to be said again: every nation’s right to exist is absolute: its right to national identity, national autonomy and national sovereignty are merely limited by the equally absolute rights of other nations. Conclusion: The right of the Western nations to exist as ethnically and historically distinct peoples in autonomous regions and sovereign states is an absolute standard from which the patriotic-identitarian movement can tolerate no deviation. The patriotic-identitarian movement respects the aspiration of the Jewish nation for its rights to be measured by the same standard. To the extent that elements of the Jewish nation remain in exile among the Western nations, the first-born rights of the indigenous peoples of West must, within reason, prevail over those of all resident aliens – including over those of the Jewish exiles. But to the extent that the Jewish nation is now reasserting territorial sovereignty in its Promised Land, it should be awarded full recognition and support for its legitimate aspirations to statehood. Every physical attack, bureaucratic derogation and ideological subversion of a nation’s absolute right to exist automatically falls within the category of – synchronically experienced and diachronically documentable – absolute evil. Thus, the collective experience of any attempt at genocide, premeditated or otherwise, falls within the category of the most extreme psycho-historical trauma that a nation can be subjected to: as a collective experience, its impact is comparable to the individual experience of an assassination attempt. A permanently hyper-reactive ‘Pavlov reaction’ is bound to characterize any nation that has been subjected to such trauma. Such ‘bottleneck’ moments are bound to permeate the historical identity of that nation, to the extent of shaping its entire religious and mythical experience – the Polish ‘Miracle at the Vistula’ (1920), the Jewish ‘Holocaust’ (1941–45) and the Abkhazian War of Independence (1992–1993)14 are recent examples of such moments. Inevitably, any nation’s history is most profoundly shaped and focussed on its most elementary ‘life cycle moments’: its (mysterious) birth, its (traumatic) crises and its (pre-cognized) death. Thus, written history can only be subjective: no historian can pretend to ‘rise above’ his own particular Sitz im Leben, or ‘setting in life’. The historian is always part of a physical nation, a historical continuum and a spiritual tradition, even if – rather: especially if – he empathically rejects and opposes these allegiances. ‘Objective history’ does not – cannot – exist: historiography is automatically defined and functionally contextualized by the historian’s Sitz im Leben. Any claim to ‘objectivity’ immediately betrays a ‘hidden agenda’: it signifies an – ultimately very transparent – attempt at promoting an ideologically functional discourse. Thus, the claim to ‘scientific objectivity’ by the contemporary Western discipline of ‘academic history’ is a mere façade that serves a specific programme of politically-correct ‘deconstruction’: as a collective project, it is no more than a hireling in the pay of the neo-liberal/Cultural-Marxist hostile elite. From a Traditionalist perspective, the only authentic form of history is history with long-term existential relevance to a specific audience with a specific identity, i.e. history that supports authentic identity by providing it with an absolute historical continuity. Such history – fashionably reduced to the status of a mere ‘narrative’ by postmodern ‘deconstruction’ – necessarily exceeds the boundaries of ‘known’ facts and present-day ‘event horizons’, because it necessarily contains various teleological and anagogic reference points beyond (past) facts and (contemporary) experiences. It has, in fact, the status of ‘meta-narrative’: it has ‘added value’ in terms of a nation’s collective psycho-historical conscience. It even defines the nation in terms of its supra-historical destiny, as in the projections of the Japanese Kokutai, or ‘body politic’, and the Jewish ‘Chosen People’. This means that there are many histories that are all valid at the same time: there are as many authentic histories as there are authentic nations. Given the vital importance of the collective psycho-historical conscience in the life of a nation, it is obvious that every ‘universalist’ discourse that claims ‘objective’ validity above and beyond the specific history of a specific nation is potentially detrimental to that nation. Knowledge of the histories of other nations may be functionally valuable in a limited way – e.g. in diplomacy and cultural studies – but such knowledge can never be allowed to replace or supersede national history. By definition, national history serves as an absolute measure and criterion by which all other forms of history should be read and interpreted – these other forms include the universalist ‘world history’ that the hostile elite claims to derive from ‘objective science’ through culture relativist ‘deconstruction’. The fact that many national histories are all valid at the same time does not reduce them to relatively valid ‘narratives’: this simultaneous validity merely enhances – through contrasts and shades – the mythopoeic, aesthetic and spiritual experience of national history as a lived gay saber (Nietzsche’s fröhliche Wissenschaft, or ‘joyful wisdom’). Conclusion: The specific histories of the Western nations represent uniquely privileged meta-narratives and therefore constitute absolute reference points for the metapolitical and political public discourse of these nations. Neither the alternative histories that are valid for other nations nor the ‘universalist’ historiographical ‘deconstructions’ that are practised by the hostile elite, can diminish the absolute value – and validity – of such national history. By the same token, the patriotic-identitarian movement respects Jewish history as an absolute standard for the Jewish nation and it emphatically rejects the ‘cultural appropriation’ of Jewish history that is practised by anti-Semitic ideologues. To practice history through the lens of the ‘Jewish world conspiracy’ is bound to misrepresent the historical self-image of the Jewish nation – and to diminish the national histories of the Western nations by infusing them with undignified ‘victimhood’. 1 The German term originally refers to the social-historical dispute between Bruno Bauer (Die Judenfrage, 1843) and Karl Marx (Zur Judenfrage, 1844); the theme only took on a political dimension with the rise of the Zionist movement (the subtitle of Theodor Herzl’s milestone publication Der Judenstaat, ‘The Jewish State’, actually reads Versuch einer modernen Lösung der Judenfrage, ‘An Attempt at a Modern Resolution of the Jewish Question’). 2 Cf. the theses of Jim Penman and Kevin MacDonald, which are built on the pioneering work of Edward Wilson. 3 Here the Crisis of the Postmodern West is interpreted in a Traditionalist sense, i.e. as the latest phase of the larger historical complex that René Guénon described as la crise du moderne. For a historiographical ‘update’ of this theme, cf. Alexander Wolfheze, The Sunset of Tradition and the Origin of the Great War (Newcastle upon Tyne: Cambridge Scholars, 2018). 4 For a basic sketch of the strategic position of the new patriotic-identitarian movement, cf. 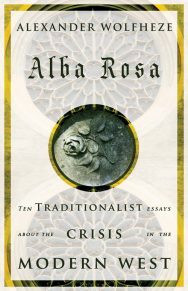 Alexander Wolfheze, Alba Rosa. Ten Traditionalist Essays about the Crisis in the Modern West (London: Arktos, 2019) 231ff. 5 For a summary aetiological analysis of the hostile elite, cf. ibidem, 147ff. 6 For a summary analysis of the ‘Inversed Tradition’ in the Jewish context, cf. Wolfheze, Sunset, 104ff. 7 In this regard, it is interesting to note the alleged parentage of at least two former American top diplomats, Madeleine Albright and John Kerry, in the extremist anti-nomianist sect of the Jewish heretics known as the Frankists. 8 A reference to the Traditionalist concept of soevereiniteit in eigen kring, ‘sphere sovereignty’, which stipulates differentiated authority and responsibility; it was an important element of Neo-Calvinist thought and strongly reflected in the work of Dutch statesman Abraham Kuyper (1837–1920). 9 A reference to the ‘unofficial’ Israeli anthem Yerushalayim Shel Zahav. 10 A reference to the hypotheses of Dutch orientalist Henri Frankfort (1897–1954) and French ethnologist Lucien Lévy-Bruhl (1857–1939). 11 A reference to the work of Flemish poet Jacob van Maerlant (ca. 1230–1300), e.g. his highly symbolic Spieghel historiael, ‘Mirror of History’. Profound reflections on this pre-modern ‘being in the world’ can be found in the work of Dutch historian Johan Huizinga (1872–1945), e.g. in his Herfsttij der Middeleeuwen, ‘The Waning of the Middle Ages’. 12 German legal philosopher Carl Schmitt (1888–1985) has investigated the interface between ‘natural law’ and ‘institutional law’, most importantly through his concepts of Nomos and Katechon. A recent evaluation of Schmitt’s work is found in Robert Steuckers’ Sur et autour de Carl Schmitt. For a review, cf. Alexander Wolfheze, ‘From the Arsenal of Hephaestus’, Geopolitica. 13 Matthew 5:14: Ye are the light of the world. A city that is set on a hill cannot be hid. 14 For a historical evaluation of the Abkhazian War of Independence in the context of the Umvolkung strategy of the Western hostile elite, cf. Alexander Wolfheze, ‘The Devouring’, Erkenbrand. It seems to me that the author is unaware of a crucial aspect of Jewdom. His text is well reasoned, positive but somewhat naive, too intellectual I would almost say. As far as the Jews is concerned they can fend for themselves and they dont need any apologies from the ethno-nationalist side. The biggest taboo the author did not deal with is the ritual of circumcision which is according to a lot of modern medical studies responsible for a pathological mindset . It is high time we call a spade a spade. Does the author think that using a lot of big words and clever phrases will convince anyone that jews have been unfairly treated throughout history? This article was a giant waste of 5 minutes of my life. I am naturally sorry to learn of your lost five minutes, but I permit myself to doubt that Mr. Wolfheze’s article can be reduced to nothing more than an obscurantist smoke-screen for misplaced pity. Perhaps (at risk of wasting more of your time) you could point out where precisely you disagree with Mr. Wolfheze’s statements, so as to advance conversation on the matter?